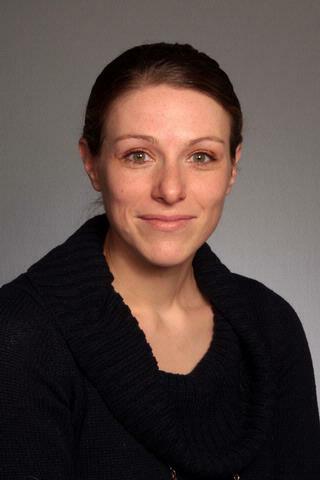 Megan Lytle, Ph.D. is a Senior Instructor in the Department of Psychiatry. Dr. Lytle's clinical and research expertise is in multiculturalism, with a particular focus on the health and suicide disparities among lesbian, gay, bisexual, transgender, queer, and questioning (LGBTQQ) individuals. She received a Ph.D. in counseling psychology from Seton Hall University and completed internship training as well as a National Research Service Award (5T32MH020061) in Suicide Prevention Research at the University of Rochester Medical Center. In addition, she completed a research-based internship with the International Association of Applied Psychology NGO at the United Nations. Dr. Lytle is a licensed psychologist and the co-chair of the American Psychological Association's (APA) Division 44 (the Society for the Psychological Study of Lesbian, Gay, Bisexual and Transgender Issues) Youth and Families Committee. Bearing witness to the marginalization of individuals in my clinical and international work sparked my passion for research focusing on LGBT persons and multicultural concerns. These experiences have motivated my research interests and strengthened my commitment to suicide prevention. Therefore, my program of research utilizes social media among other online resources to investigate the biopsychosocial and cultural factors that contribute to suicidal behavior among LGBT persons. De Luca SM, Lytle MC, Yan Y, Brownson C. "Help-seeking behaviors and attitudes of emerging adults: How college students reporting recent suicidal ideation utilize the internet compared to traditional resources." Journal of American college health : J of ACH.. 2019 Jan 7; :1-8. Epub 2019 Jan 07. Kamen CS, Alpert A, Margolies L, Griggs JJ, Darbes L, Smith-Stoner M, Lytle M, Poteat T, Scout N, Norton SA. "&quot;Treat us with dignity&quot;: a qualitative study of the experiences and recommendations of lesbian, gay, bisexual, transgender, and queer (LGBTQ) patients with cancer." Supportive care in cancer : official journal of the Multinational Association of Supportive Care in Cancer.. 2018 Nov 8; Epub 2018 Nov 08. Lytle MC, Blosnich JR, De Luca SM, Brownson C. "Association of Religiosity With Sexual Minority Suicide Ideation and Attempt." American journal of preventive medicine.. 2018 May 0; 54(5):644-651. Epub 2018 Mar 15. Author List: Lytle, M. C.